A “Buyer-Broker Agreement” outlines how you and your agent will work together as you look for a home. It commits you to work exclusively with that agent, usually for 3 to 6 months. Agents prefer these agreements because all too often they devote blood, sweat, and tears serving a client, only to have them buy a home through another agent at the last minute. Buyer-Broker Agreements are growing more common and many better agents won’t work with you without one. – The agent should work harder for you, knowing you’re a loyal client and his time and effort won’t be wasted. – Agents call committed clients when the best homes and values come up. – You may commit to an agent who doesn’t work out. Should YOU sign a Buyer-Broker Agreement? It in effect turns you from a “customer” (someone who is sold to) into a “client” (someone a professional represents). If you feel you’ve found a skilled, hard-working agent who’ll devote time to you, I think you’ll benefit. – access to many homes NOT on the market. If you’re interested, call me at 858-457-KENT and we’ll discuss helping you find a San Diego home or rental property. 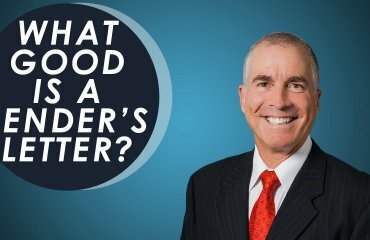 What Good Is a Lender’s Letter?